Designing Africa: Exploring Provenance and Materiality interrogates two particular areas of design - visual communication and material exploration. In the past, African Design had struggled to define itself as modern with the overarching Western view situating it as 'proto-design' showcasing traditional craft, commercial or primitive wares, but never showing protean, prototypical or pioneering characteristics in its nature. Over the past half century following liberation and independence movements, African creatives like Demas Woko, Oumou Sy, Ousmane Sembene amongst many others have sought to shape and redefine their respective fields of architecture and design, fashion and film through the critical and engaging works they produced. This transition from the defined to the definer is still in progress as a contemporary phenomenon in African art and design. As George Braque famously said “Art is meant to disturb, science reassures”, this exhibition builds upon contemporary African design's ongoing quest for disturbing established notions of identity by asserting the defining and navigating capacities of African design. Designing Africa showcases the work of visual artists Momodou Ceesay, Clari Green, Pwavidon Mathias and Brian Omolo with origin as the underpinning theme. How do we define where we come from? By communicating their origins, present, future and imagined states they redefine the identity of Africa through printmaking, graphic design and illustration. In the scope of materiality, Ada Umeofia pushes the perception of form by extruding materials and the spaces surrounding them in thoughtful yet playful approaches to process, fabrication and space. 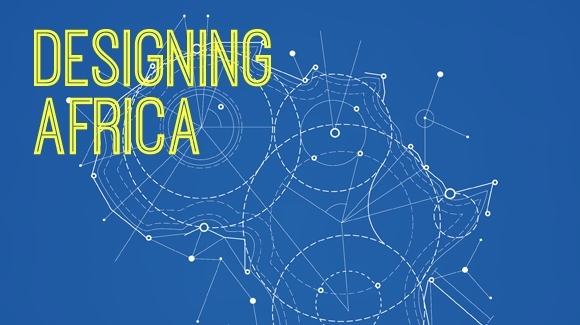 Designing Africa explores the continuous redefinition of post-colonial Africa by African artists and designers and how this translates across society and our sense of identity.